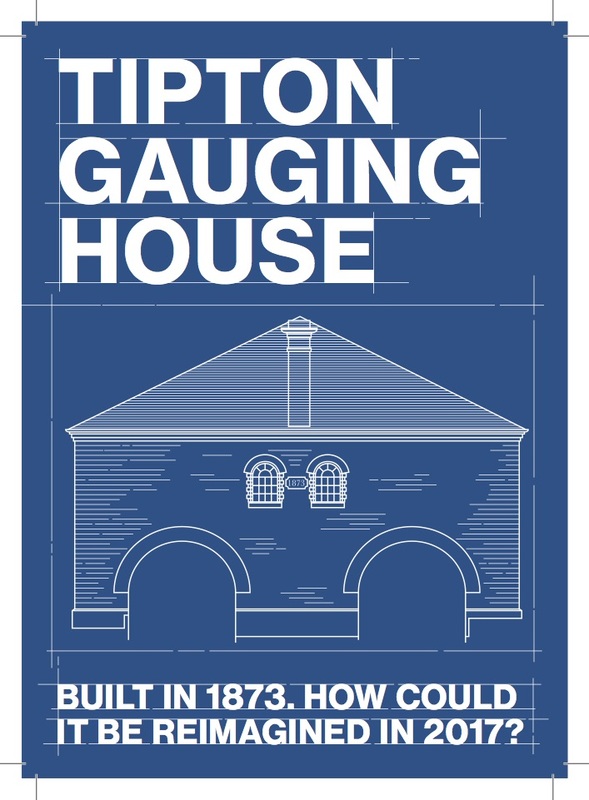 The Gauging House sits adjacent to a set of three listed locks within the Factory Locks Conservation Area in Tipton in the Black Country. 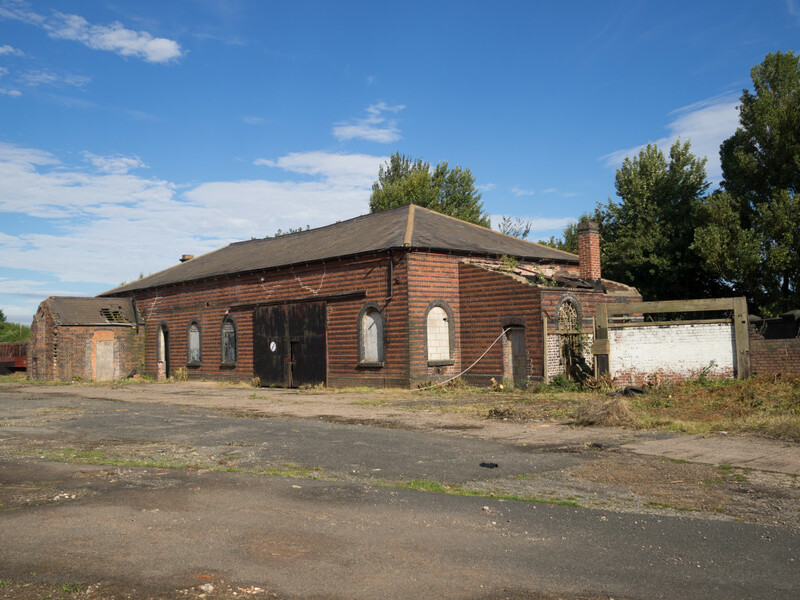 We have been working in collaboration with independent arts consultancy Public Artist Limited, Heritage Lottery Fund advisor Sarah Tibbets and artist Rob Colbourne to consider how the Grade II Listed Gauging House could be re-used, and the remainder of the .45ha site developed as residential. Rob Colbourne considered the site in his typical style: fact-finding, analysing and interpreting the site as it is now, and was, then feeding his findings and his interpretation of the information back to us. We used his research to inspire us and to drive conversation with the rest of the team in the ongoing discussion of how the site could be transformed into space that could be purposeful and useful, but also productive for both the land owners and the other people who would be affected by its regeneration. His research also fed into our preparation for the public consultation event which took place . Specifically, we used Rob’s research to inform ideas on how/what the future use of the site could be and to understand who would use it. 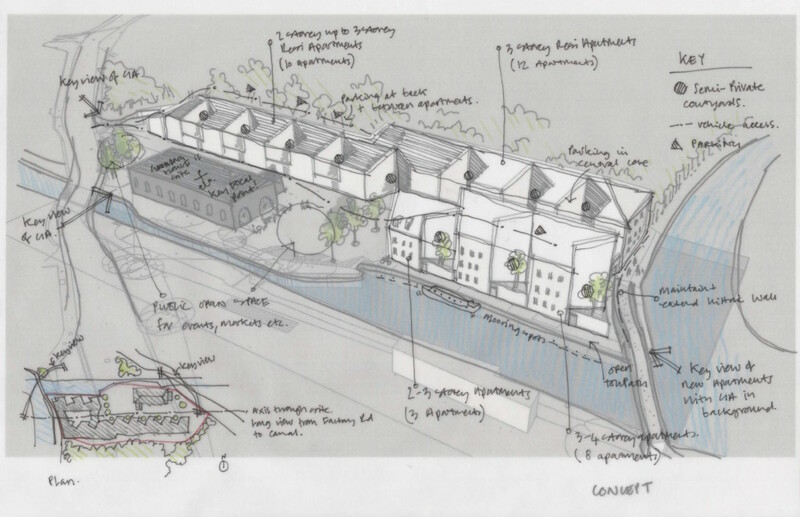 We considered social interactions that would take place on the site, how the site could be integrated back into the local and wider community in Tipton, and of course the canal network. We also used Rob’s work to inform the space planning on the wider site, using old maps etc, and we briefly discussed (although it is too early in the process to consider this), drivers for building forms, and materials. 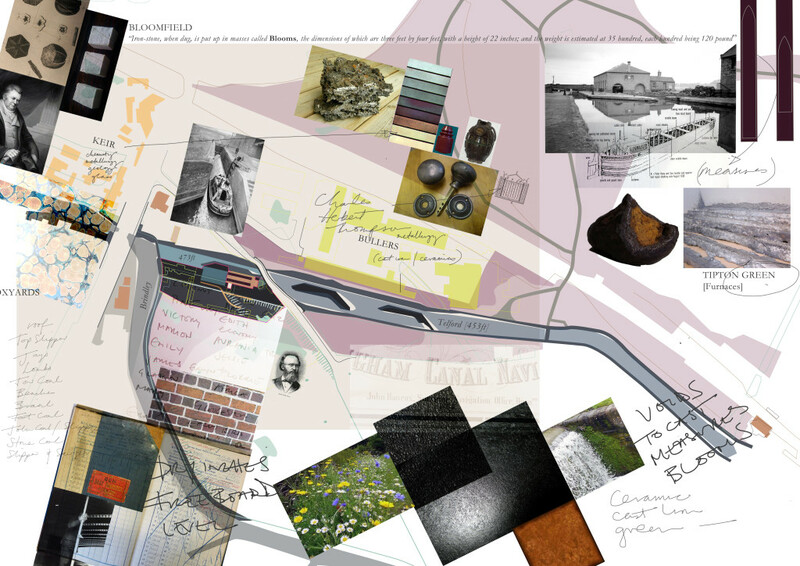 Rob created lots of montaged images to summarise the site (see below), he has also begun to draft a document called ‘Four Design Principles -Notes’ which has informed the beginnings of a conceptual design guide for the site. Postcard produced by An Endless Supply as part of the community consultation event.